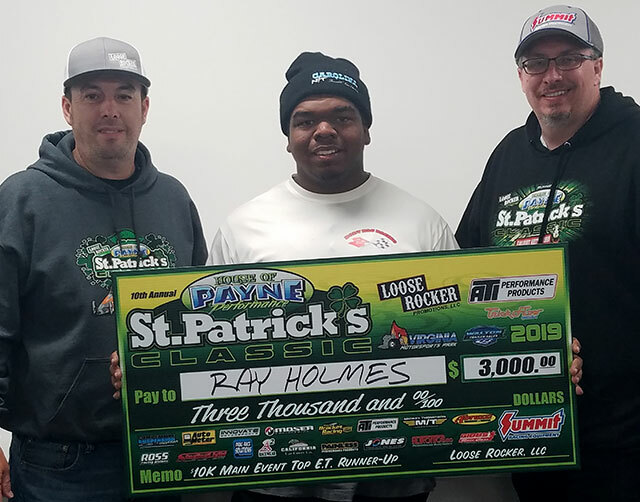 It’s hard to put into words the incredible experience of this past weekend’s Loose Rocker’s 10th Annual House of Payne Performance St. Patrick’s Classic at Virginia Motorsports Park. Without YOU, the racers, our many great supporting sponsors, and a great facility, none of this would be possible. Give yourselves a giant round of applause for a record-shattering event! 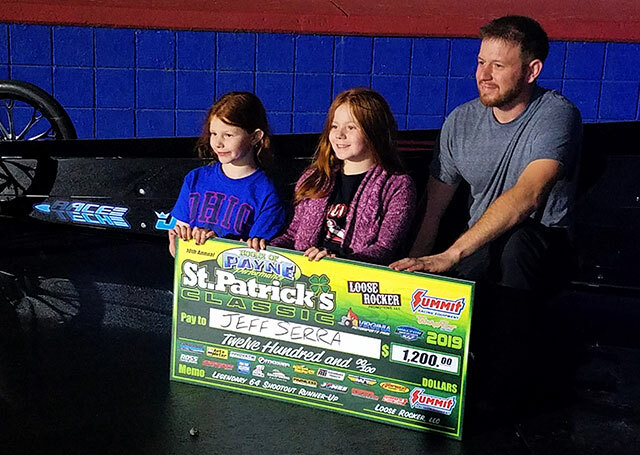 Thursday’s welcoming weather set the tone for the weekend with the largest opening test n’ tune, alongside the Legendary 64 Shootout, won by Bruce Sisk over Jeff Serra. Despite an unwavering rainy forecast for Friday, 386 entries were able to get a time trial in, and we made if halfway through Round 1 of Top ET before rain finally did end the day for good. The slate was wiped clean, and the backup plan of running two $10K’s over Saturday and Sunday was put into place. While it was reasonable to expect some cars to roll in overnight, no one could have guessed the unbelievable outpouring of support on Saturday. It was like a whole ‘nuther race showed up! We were already well underway with the single time trial session when we realized we were already over 540 entries and counting. We eliminated buybacks, raised the round money from $100 to $150/round for both days, and at the completion of time trials, we cut off tech card sales. All in all, a shocking total of 600 tech cards had been sold. 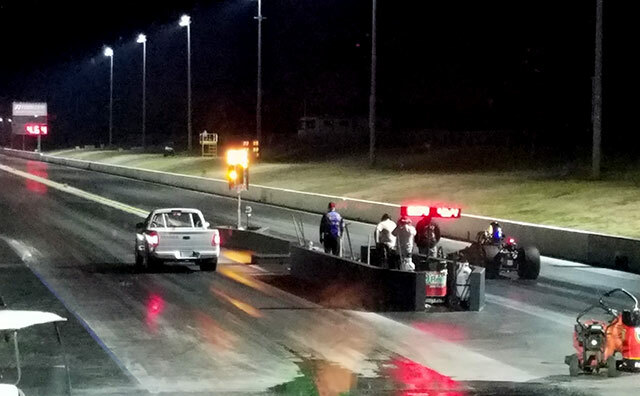 After some breakage, the official number of 593 entries went down the track in Round 1 of Saturday’s ATI $10K Warmup. 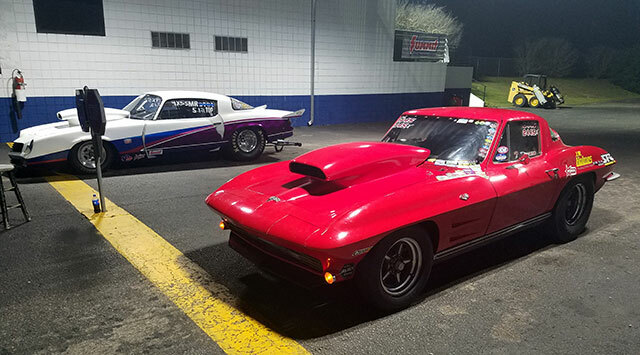 Despite the racers stepping up to a brisk pace, the staggering number of cars, along with some downtime from unfortunate breakage found us up against curfew down to 20 cars remaining in Top ET, each earning $1,025, and 17 Footbrakers, each earning $1,145. Sunday’s Abruzzi $10K Finale kept up the pace to crown two champions out of the 533 entries starting the day, in less than 10 hours. 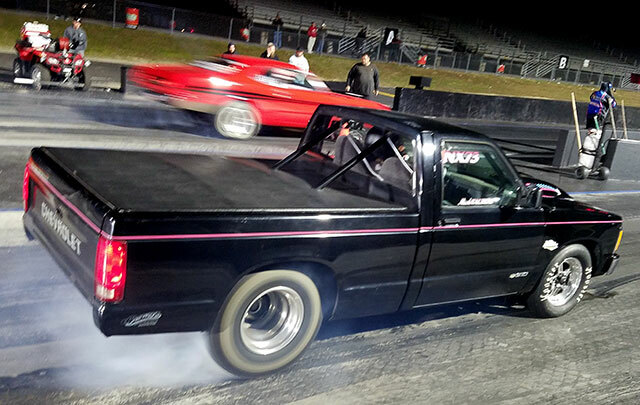 In Top E.T., doorcars dominated, having dispatched all of the dragsters before the quarterfinals. 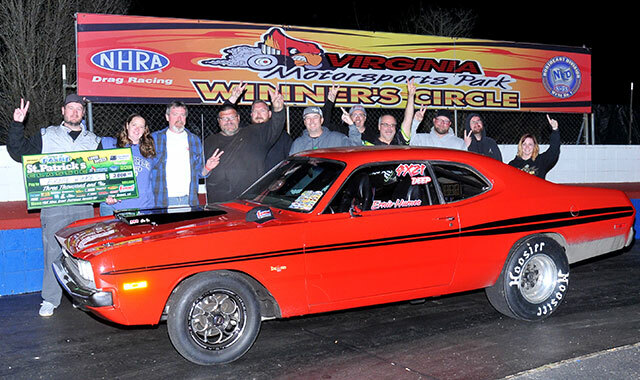 In the end, it was Mike Nelson, Jr.’s very quick and dead-on 5.128 that earned the Big Check and Loose Rocker Eagle trophy, over 2013 American Doorslammer Nationals champ Ray Holmes. Herb Bailey was the semifinalist. 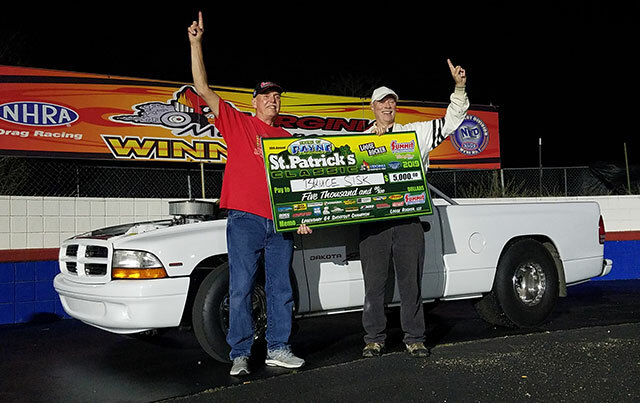 In Footbrake, Nicole Talbert put on a dominating display to earn her first Big Check and Loose Rocker Eagle, stopping Ernie Humes in the final. Brock Moshier was the lone semifinalist. 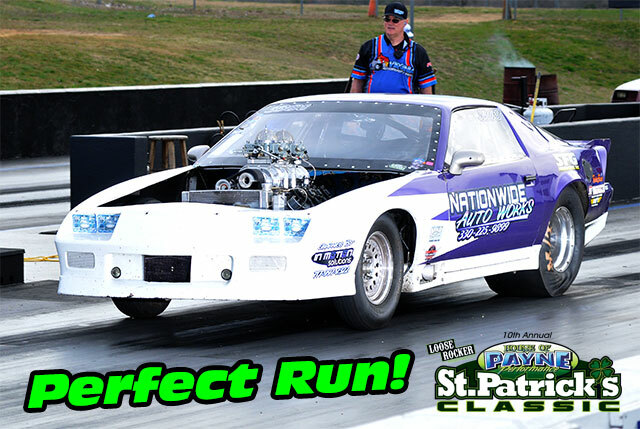 Also of note, Loose Rocker racers recorded not one but TWO Perfect Runs over the weekend! Jose Diaz and Chad Duke each threw down a .000 dead 0 pass, a tremendous accomplishment made even more jaw dropping by the fact that is was their fifth and fourth career Perfect Runs respectively! 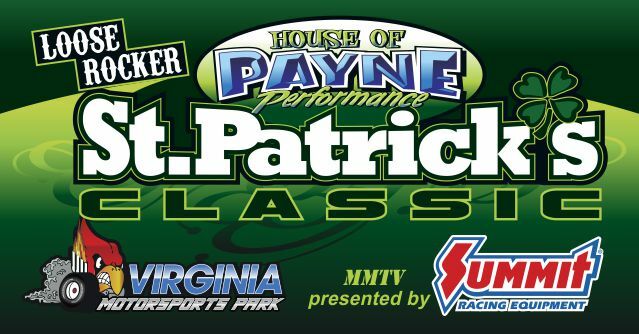 If you enjoyed the House of Payne St. Patrick’s Classic (or if you wished you could’ve made it to this one! 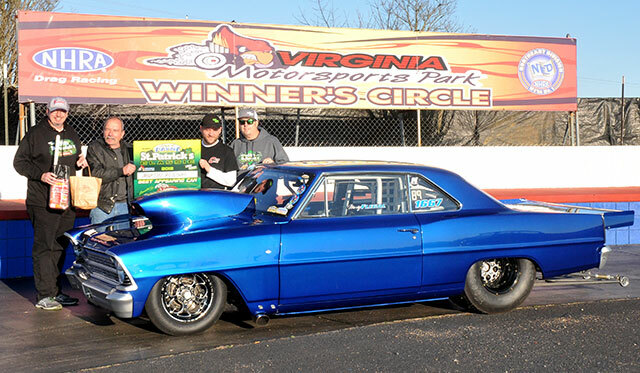 ), mark your calendars for August 1-4, 2019, when Loose Rocker returns to Virginia Motorsports Park for an identical 5K/10K/5K event for both Footbrake and Top E.T… the 6th Annual Flatout Gaskets Colonial Classic presented by Calvert Kettle Corn! 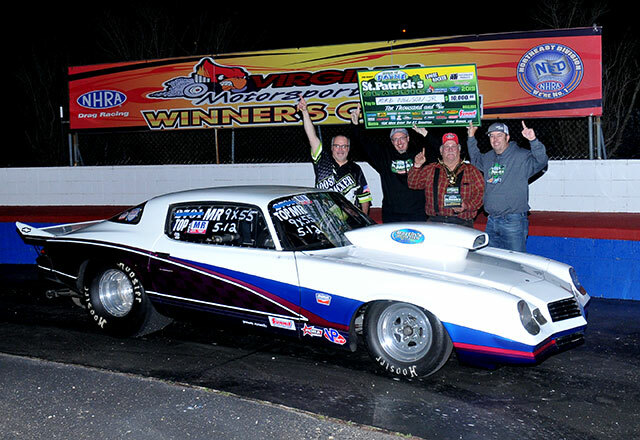 Thank you once again to all of the racers, fans, the VMP staff, management, and ownership, our supporting sponsors, and our major sponsors, House of Payne Performance Starters and Alternators, Summit Racing Equipment, ATI Performance Products, TrickFlow Specialties, Abruzzi Transmissions & Converters, and Walton Trailer Sales. 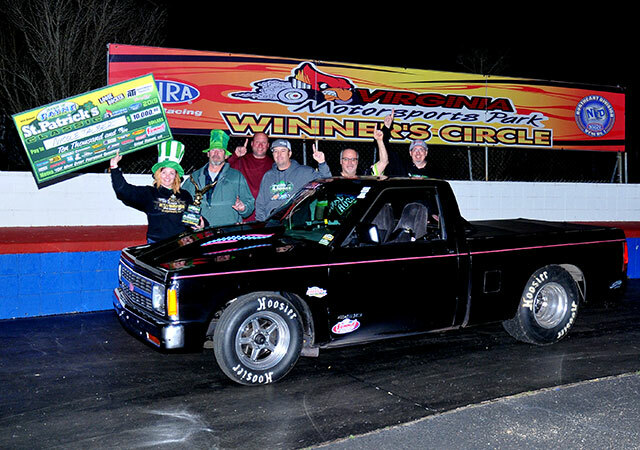 Next stop: The ATI BIGFOOT $40K presented by Summit Racing Equipment at Darlington Dragway, April 26-28, and the Summit Racing Equipment $40K Super Doorcar Challenge at Piedmont Dragway, May 17-19! 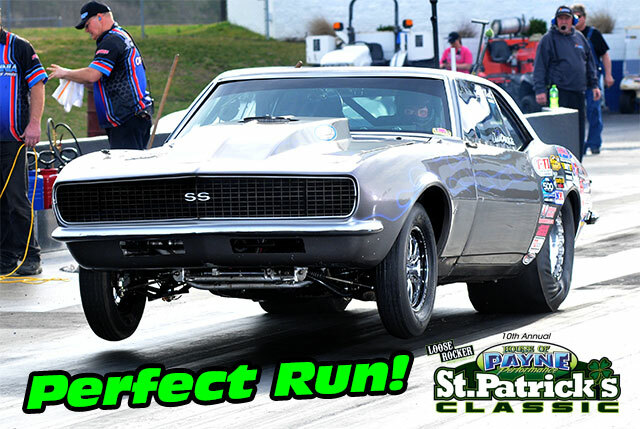 JOSE DIAZ – PERFECT RUN! CHAD DUKE – PERFECT RUN!